Hydraulic Services | Indiana Hydraulic Repair Company | Champion Hydraulics, Inc. | Champion Hydraulics, Inc.
We know keeping your equipment up and running is your top priority. So when a machine doesn’t work properly, it can mean missing a deadline, losing revenue, or both. Champion Hydraulics can help keep your equipment going. By troubleshooting, then performing maintenance or repair on your hydraulic equipment, we increase the longevity of your hydraulic parts, which will save you money in replacement costs. Champion Hydraulics offers you one source for all of your hydraulic service needs. We offer repair service for all types of equipment as well as size requirements. Our services range from welding to machining and honing. We also work with your needs, so we’ll pickup and deliver, or provide on-site service if you prefer. When you need hydraulic parts and accessories, Champion Hydraulics has you covered. As an authorized stocking distributor for Kuriyama of America, Lynair, and Thompkins Industries , we can offer a wide variety of quality products and options for your specific application. 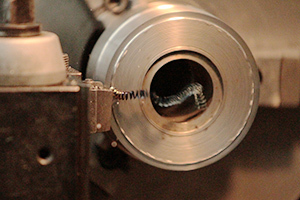 Our experienced craftsmen also provide extensive machining, milling and fabricating services to meet the demanding specifications of unique repairs or production designs. We have both the personnel and equipment to dissassemble, repair and reassemble a wide variety of hydraulic pumps, cylinders, components and accessories. 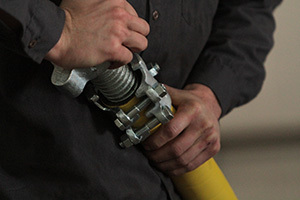 Contact Champion Hydraulics when your hydraulic equipment is in need of repair.